Put aside its agressive good looks and you'll see that Garrett's new Ace 150 is still ahead of the competition in every respect. 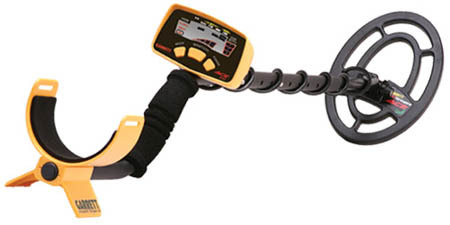 This rugget new machine exhibits every tool and well thought out feature you like to see in a quality metal detector. It's easy to use, others high performance handling without complex settings and adjustments as well as featuring intuitive controls that make treasure hunting fun, easy and very rewarding. This full on sporty Ace 150 also features excellent depth, accurate target ID and discrimination and is right on the money when it comes to cost! No other detector will give you Garrett quality features for that price. Rest assured this machine will send the competition back to the drawing board.